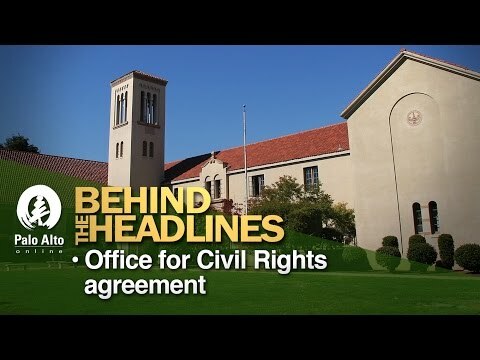 "Behind the Headlines" looks at steps proposed by the U.S. Department of Education's Office of Civil Rights for bringing the Palo Alto school district into compliance with federal law. Weekly journalists Elena Kadvany and Jocelyn Dong are joined by Ken Dauber, vice president of the Board of Education. Watch this week's webcast here. • Behind the Headlines: Best and worst films of 2016. • Behind the Headlines: Palo Alto trees -- dead or alive? I for one welcome these investigations. In light of "Lauren's" response to the allegations Web Link the district's and some board members actions in this case really do need a thorough airing. Who is interviewing whom? Isn't Ken Dauber on the Weekly's staff? It seems like he is in charge of writing the Weekly's editorials about PAUSD.